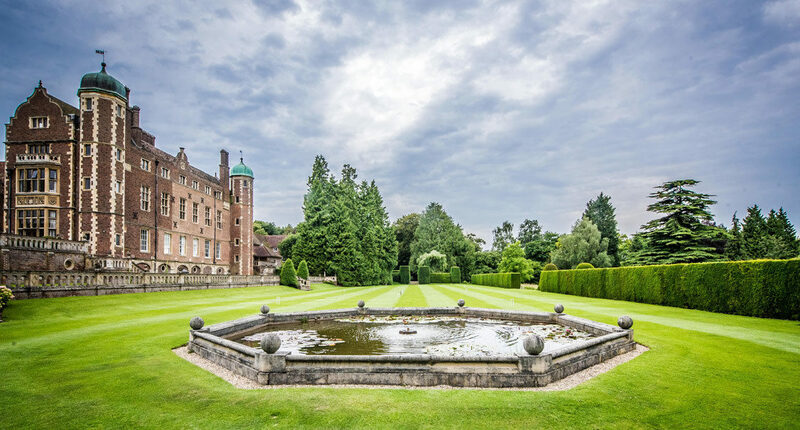 The glorious gardens that surround Madingley Hall reflect centuries of change. Although the Hall was built between 1543 and 1547, the earliest recorded image of the gardens is an engraving dating from 1705, showing a formal, Dutch-style garden to the north and east of the Hall. 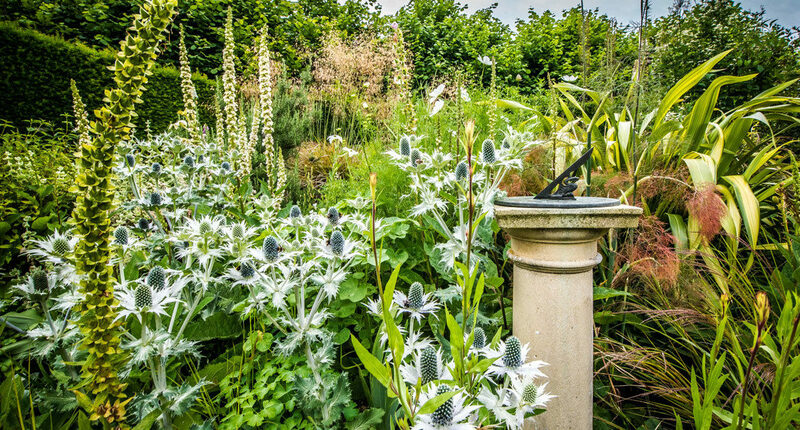 This garden was replaced by the prevailing trend for naturalistic parkland and in 1756, Lancelot ‘Capability’ Brown was employed to create a fashionable landscape garden. His style of smooth undulating grass and scattered trees was the height of fashion, and swept away almost all traces of the existing gardens’ formality. The view to the east from the front door of the Hall remains relatively unchanged from this period. The North Garden was adapted by Colonel Walter Harding between 1908 and 1914; notably the creation of formal terraces and the Croquet Lawn in the Edwardian style. 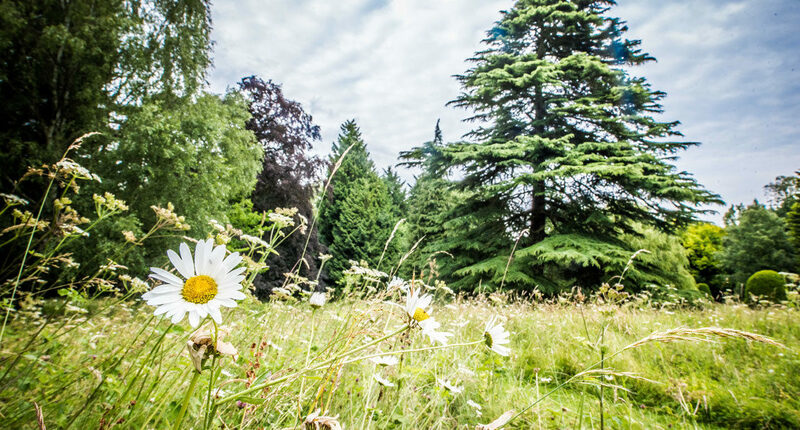 He planted many newly introduced trees which today have matured to form the framework of the tree collection. Many of these grow in the two acre meadow which is at its height during the spring and summer. 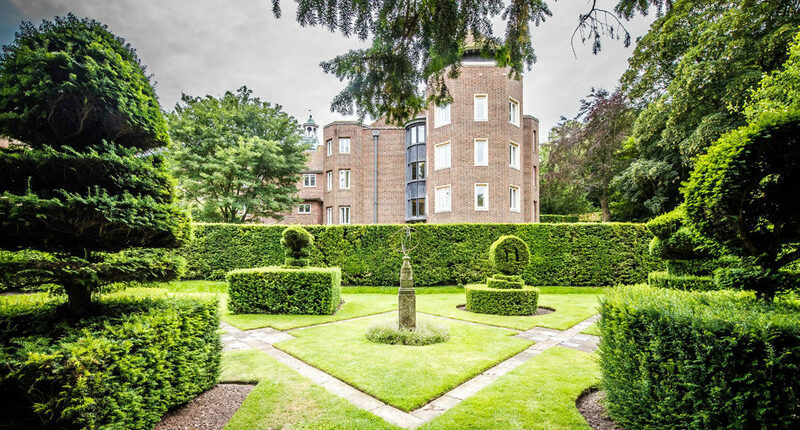 The Yew Topiary Gardens were added in 1927 by Ambrose Harding, who faithfully transplanted the garden, tree by tree, from Histon Manor, his previous home. 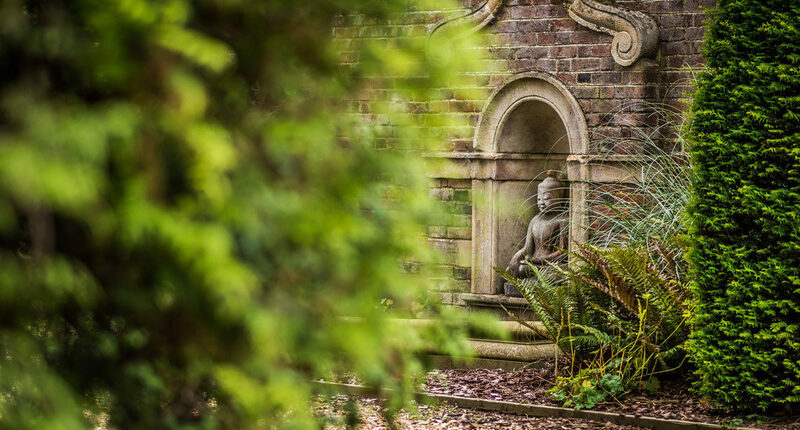 Between 1948 and 1951, the University rebuilt and landscaped the 18th century Courtyard, and today it’s filled with a variety of alpines, climbing plants, shrubs and perennials which thrive in the Hall’s warm micro-climate and dry growing conditions. 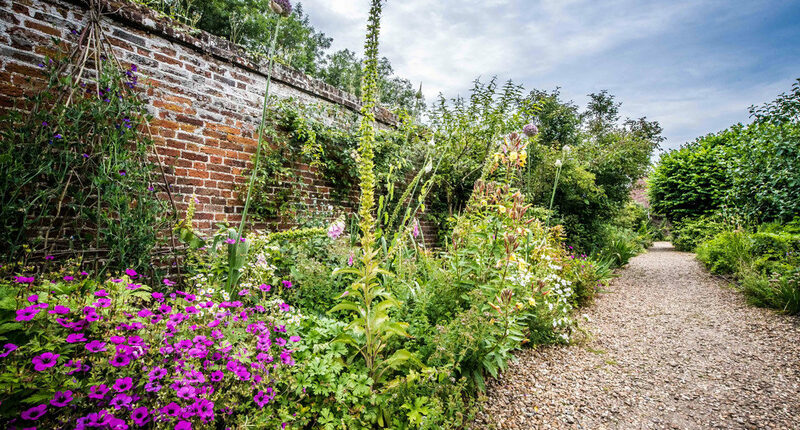 The Walled Garden dates to the mid-18th Century, and was used as a kitchen garden. 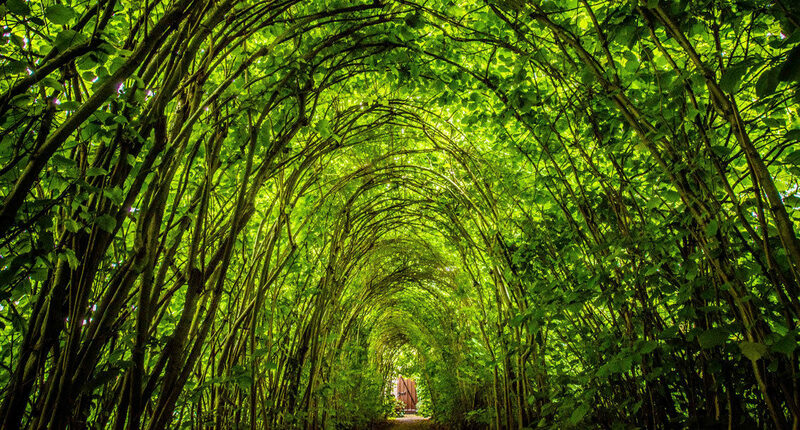 The arched Hazel Walk is thought to date to the mid-19th Century. 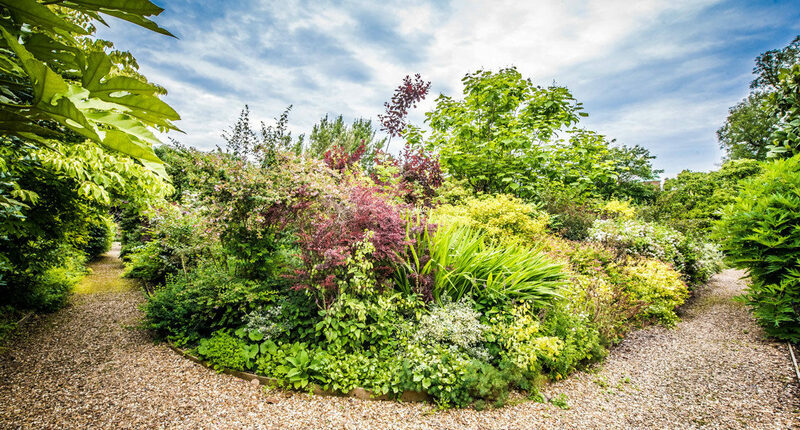 To the south of this are a variety of borders containing a wide range of hardy plants, both familiar and unusual being grown in a raised alpine bed, a sunken garden, a medicinal border, rose pergola and many other mixed borders. 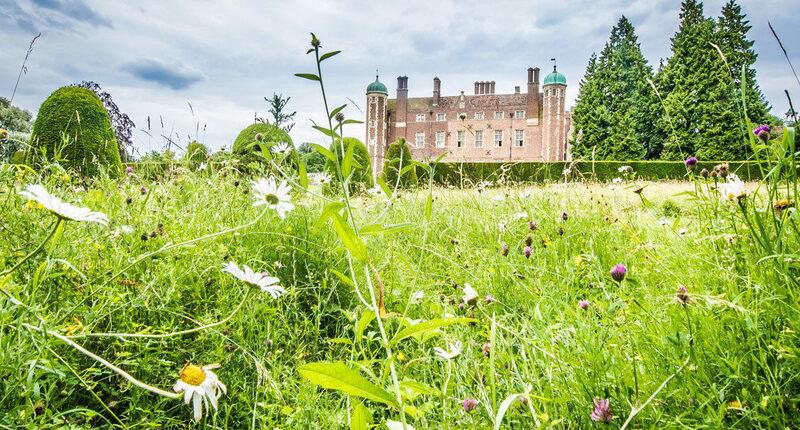 Visitors to Madingley Hall are encouraged to take full advantage of the gardens: winding gravel paths through the undulating terrain, and on a cold, crisp morning, or a balmy summer afternoon, provide the ideal location for a relaxing stroll. 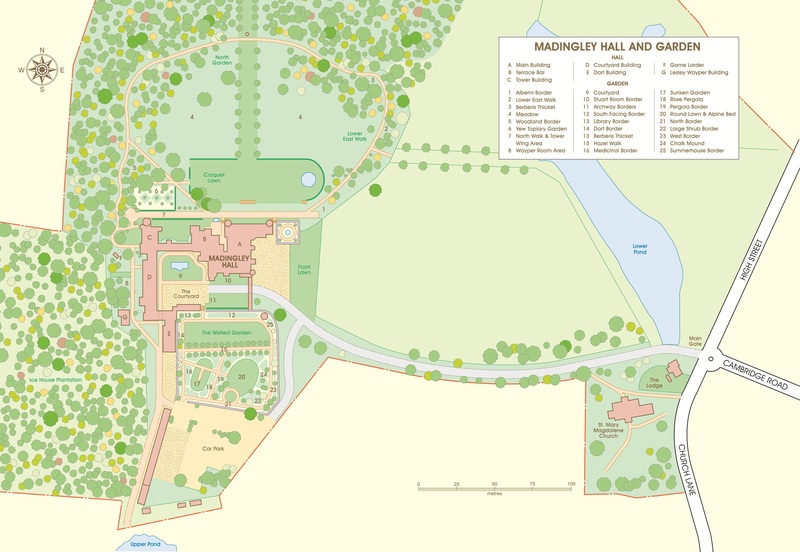 A comprehensive souvenir guide on the gardens is available to purchase from the Hall's Reception Office. 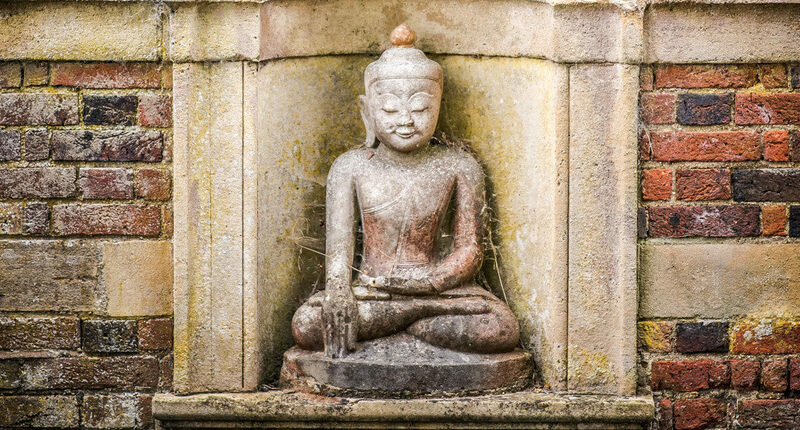 Fascinating tours of the Hall and gardens can be arranged for small groups. 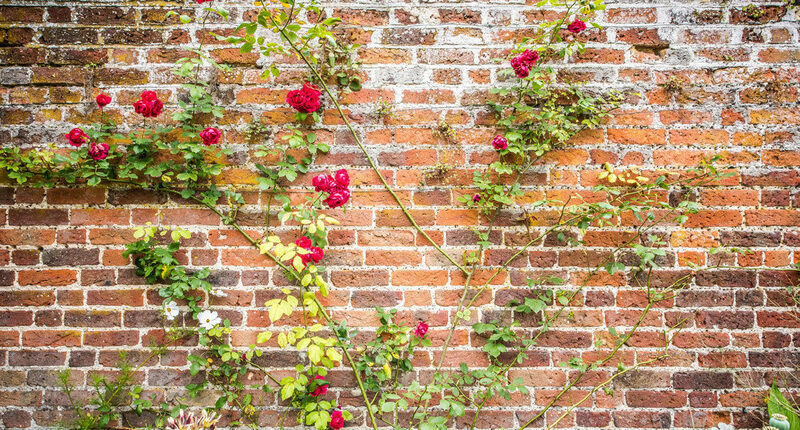 Visitors may walk round the garden during daylight hours. Please complete the information slip in the entrance porch at the front of the hall and place in the box with a suggested donation of £5. 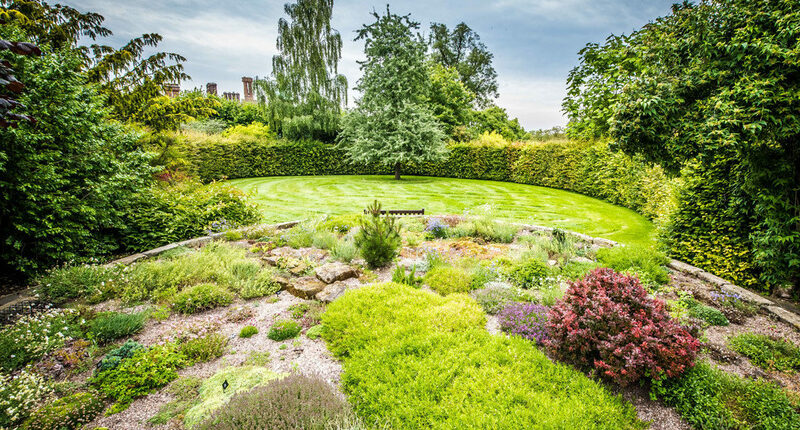 Click on the garden map button below to download a map. Picnics, games, radios and dogs are not permitted in the grounds. Toilets are located inside the front door. Tea, coffee and light refreshments are available in the Terrace Bar. Please note that the Hall is not open to the public. 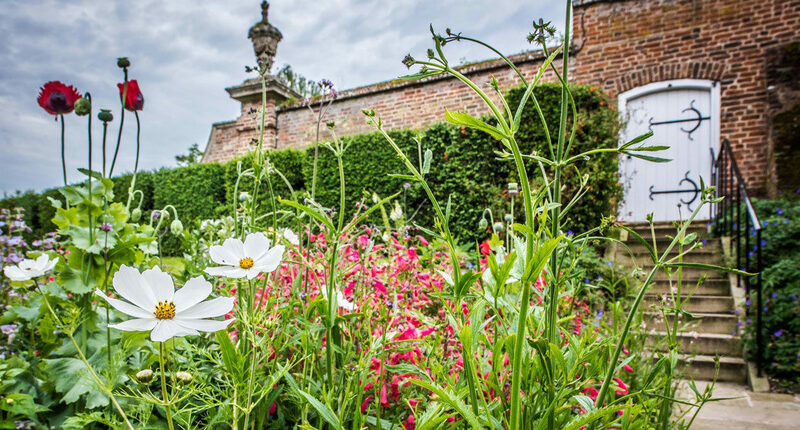 The Gardens are also open as part of the National Garden Scheme on Sunday 23 June 2019 and as part of the Open Cambridge event in September 2019. Please see the Events page for more details.